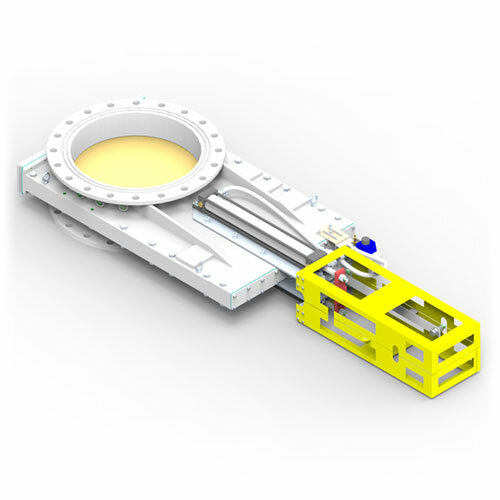 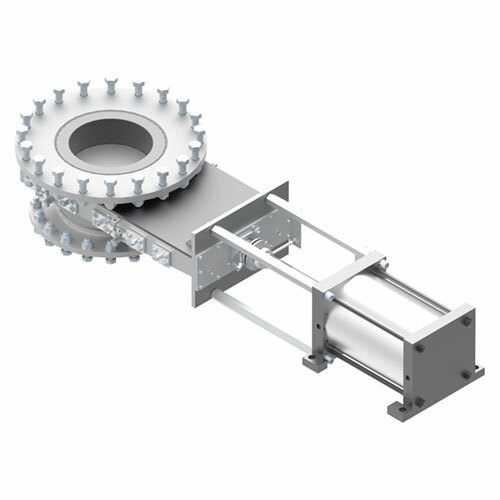 Plattco is pleased to offer our newest innovation, our HP slide gate valve, a high performance and high sealing slide gate valve specially designed for the cement industry to function as a diverter valve in critical pneumatic transport systems. 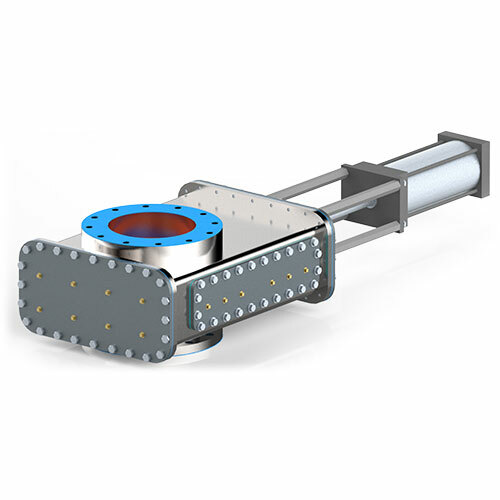 The HP series slide gate valve is designed to handle abrasive dry powder materials at pressures up to 50PSIG making it the ideal pressure or vacuum pneumatic conveying line shutoff valve. 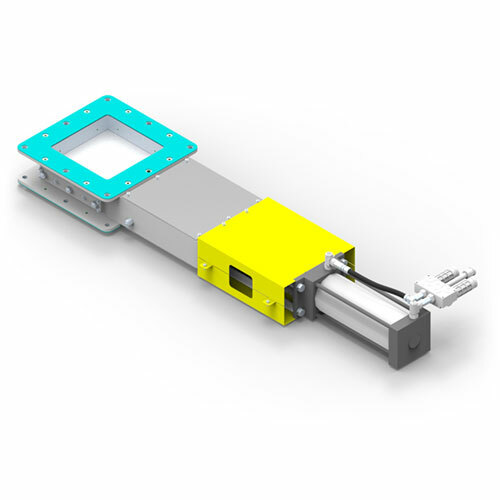 Designed for your system, these valves feature a unique wedge seal design which ensures a tight seal across the closed seat and flapper disk. 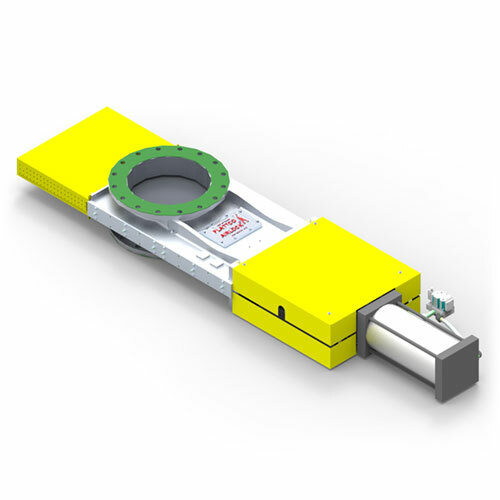 Thewedge design also allows for automatic wear compensation to ensure valve reliability. 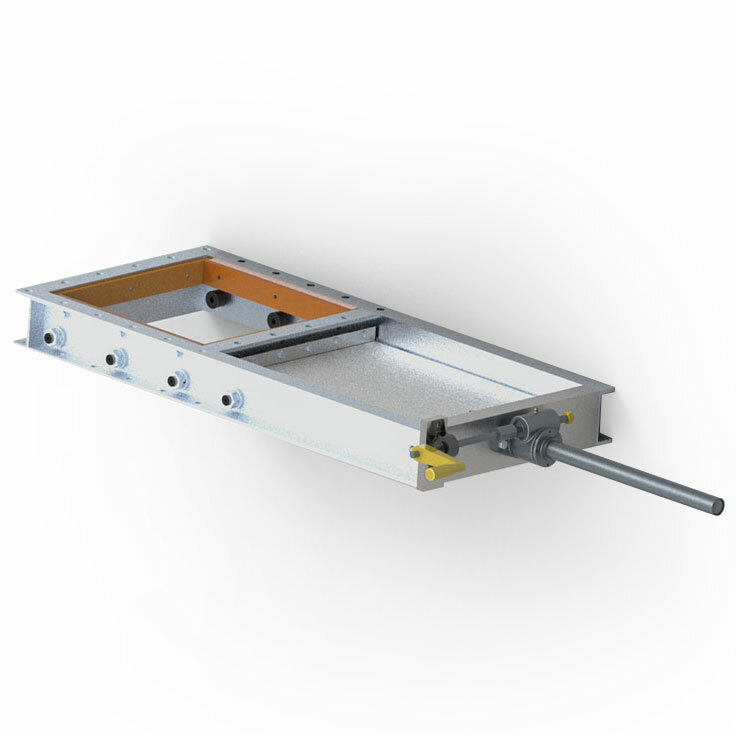 The access covers make this valve fully repairable in line facilitating inspections and predictive maintenance. 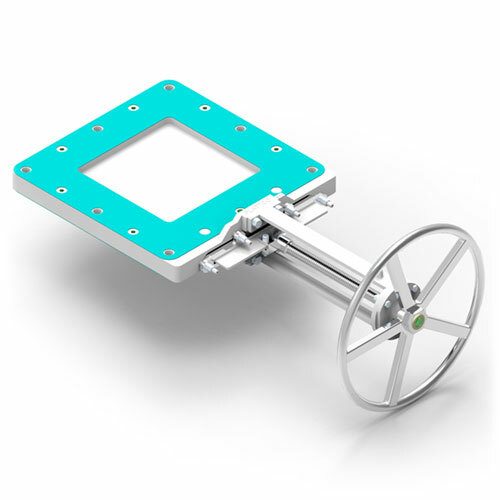 Our patented design is an industry first slidegateplatform with sealing components adapted fromdouble flap valve technology, ensuring a reliablelong lasting seal across the valve when closed.Plattco gates use several dierent materials in itsconstruction to achieve the best combination offunctionality and value.